SQUARE RUNGS FOR SAFETY AND COMFORT. CERTIFIED AND TESTED TO BS2037 CLASS 3. 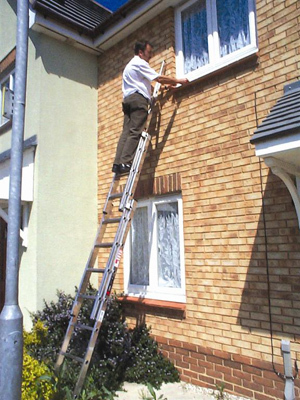 SLIP RESISTANT TWIST PROOF RUNGS. STRONG BOX SECTION STILES FOR INCREASED RIGIDITY. TOP CLIP FOR EASY OPERATION.